Under the supervision and guidance of Dr. Andreas Andreou, Evangelismos Hospital has upgraded the diagnostic centre with a new CT SCAN and a panoramic. The CT-scan is a state of art multi- axial tomography, that can perform three-dimensional tests such as angiography, pyelography and colonoscopies with less discomfort to the patient, since all tests are performed in less than 5 minutes. The orthopantografos (panoramic) is a high quality panoramic and cephalometric radio-graph with all the possibilities offered by digital imaging (save and send images via e- mail) . We have special prices on vulnerable groups and individuals who have been severely affected by the crisis. 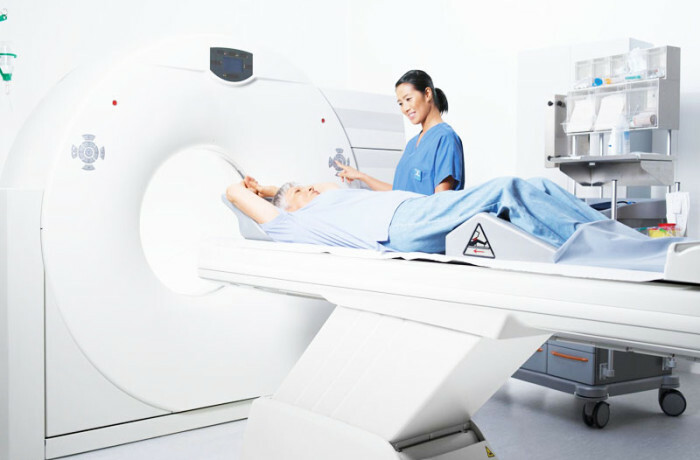 The CT Scan department’s mission is to provide the highest quality healthcare at competitive prices to our patients. Our commitment is to the patient and we intend to treat every patient with due care and dignity.